The scent of stale tobacco that used to impregnate the leather seats of his father’s car brings childhood memories flooding back to Patrick Brunet . 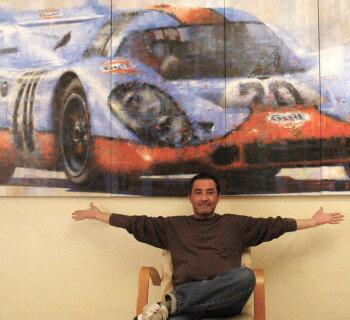 As one of France’s most celebrated automotive artists, there has not been a day in his life without cars. Driving his dinky toys along the brick wall at the edge of his father’s garden he experienced races, rallies and adventures only a young boy can imagine. “Cars accompany our lives; their design evolves regularly. 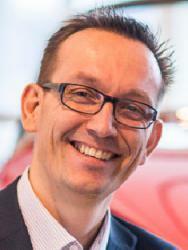 Cars become markers of memories, through smells, shapes, colours and experiences.” Patrick says. 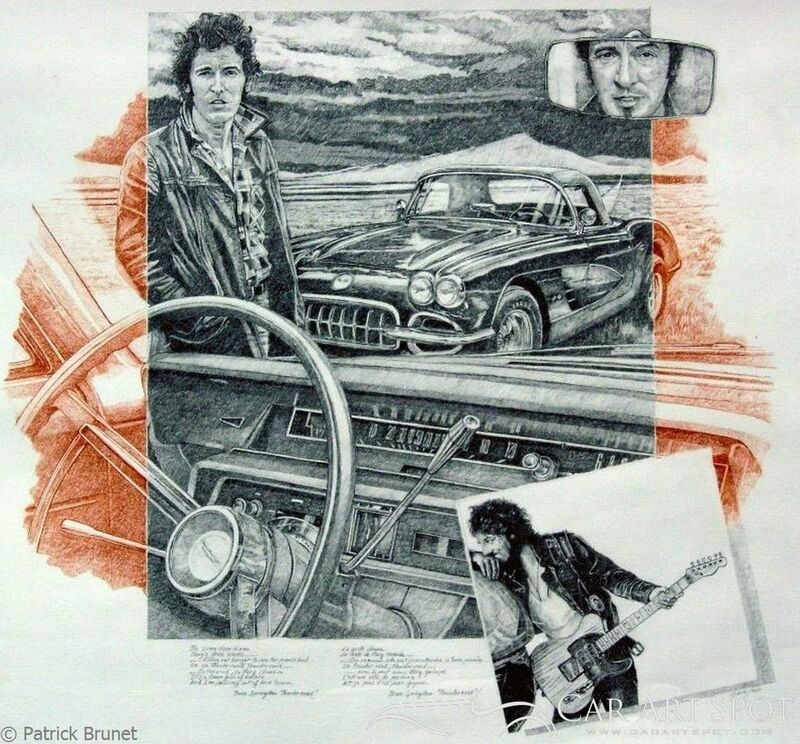 Drawing cars came naturally to Patrick and while he took a few evening lessons in art of plastics he generally is self-taught. Over the years, he developed his own characteristic style. At first Patrick combined his artwork with a job as a schoolteacher but in the past few years he chosen to focus all his time and attention on his art. 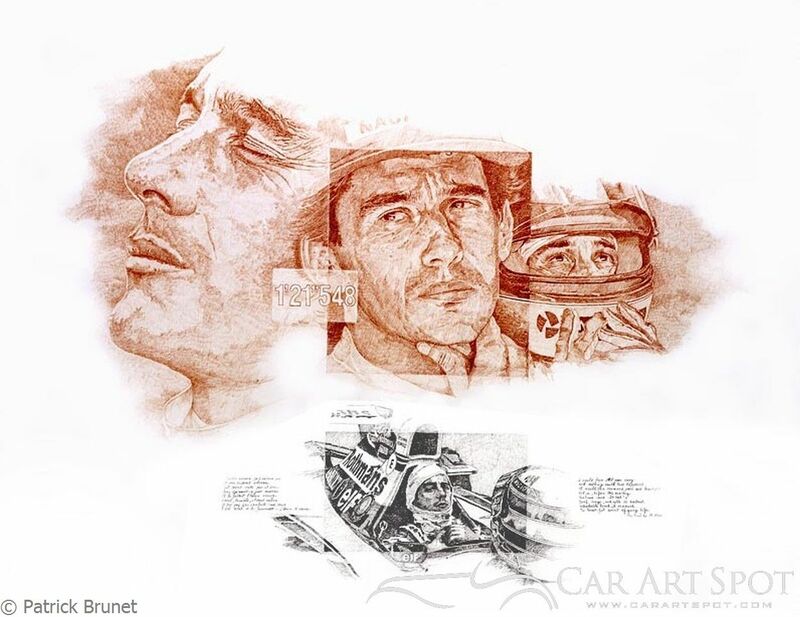 For Patrick Brunet creating art is combining his passions for auto racing, cars, history, literature, cinema, and music into one -- an accumulation of pleasure, passion, and creativity. With vivid passion Patrick explains how literature inspires him. “Text, only text, text seduced me!” And to emphasize this statement he recites a passage from author Fisson to underscores his words. when one ounce of metal, a dot of rubber, a trail of oil…! Patrick often keeps a notebook at hand to record passages that strike him, be they from an interview, a novel, a verse of a song or a movie dialogue. These notes mature and produce images, a process that sometimes takes several months. Other moments impose an immediate image or idea. These are the highlights of Patrick’s creative process. In his art Patrick strives to capture the emotions and adrenaline that a pilot feels, the process of creating music or a movie, each wrapped in a poetic and romantic vision. 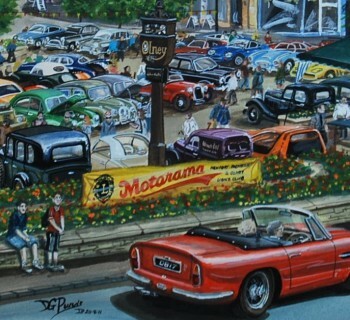 Over the past 30 years Patrick developed his own style and gradually abandoned the color, paints, and pastels. His stylistic use of red chalk with the contrasting black lead pencil creates a kind of palpable tension in his artwork. Patrick is the proud owner of an Alfa Giulietta, 1959, a car that he drives daily. 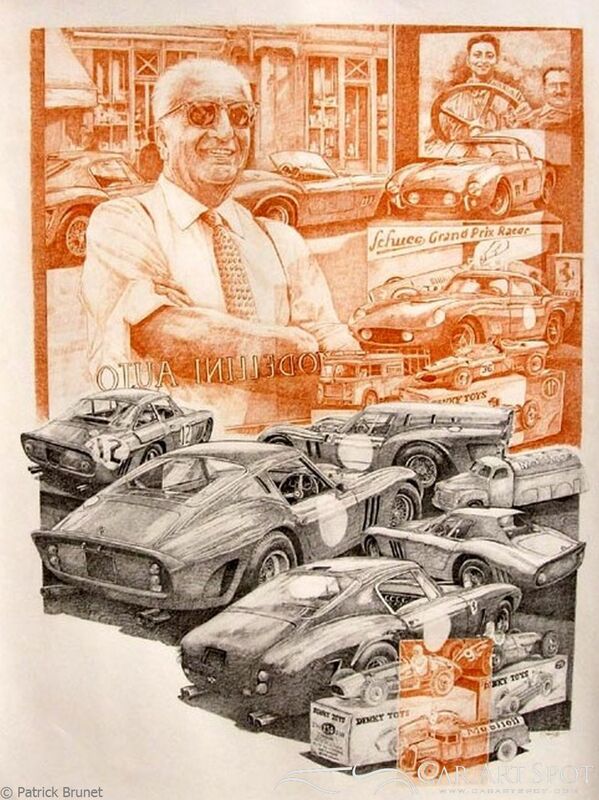 The design, sound, and smell of that car are another source of ongoing inspiration. 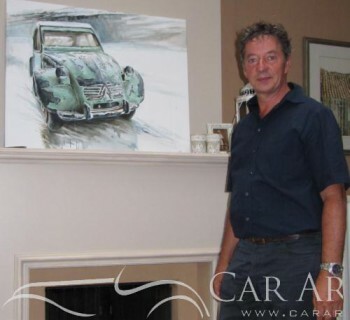 Patrick Brunet his work has been on display at the Donnington Museum ( England) Lotus Collection Museum ( England) and Le Mas du Clos ( Ferrari collection). 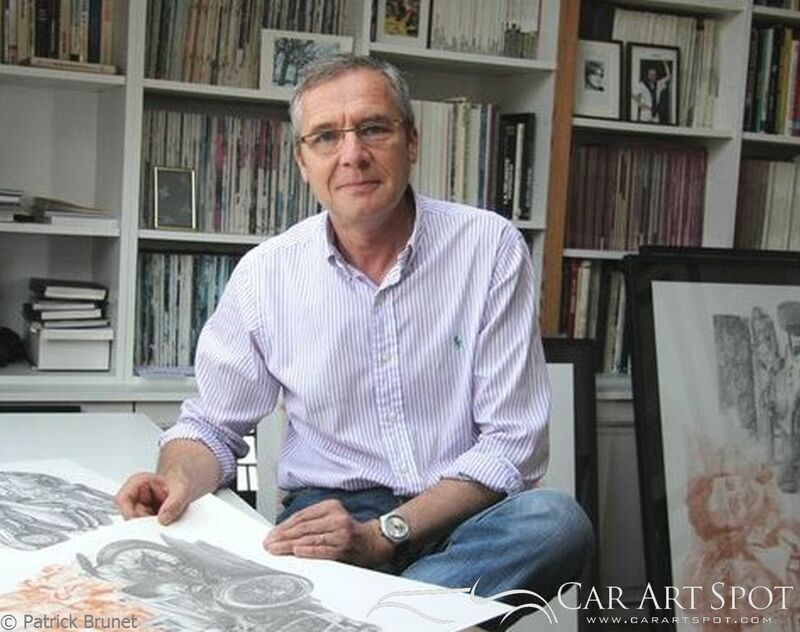 He has been a member of a group of artists named ARTIST'AUTO since 1995.